Electric Fencing Advise with design, costing, purchase and installation. Above is Precision Mob Cell grazing on a 24hr moving cycle. The flock entered the fresh cell at 2800kgDM/ha and in the foreground is the cell they grazed down to 1500kgDM/ha. We Supply: Electric Plate meters accurately measure the kgDM/ha for calculating grassproductivity and stocking rates, entry and exit levels to maximise Grass Productivity . There are three models, the F200, F300 and the F400 and advise on use when measuring. Haymeter for hay and straw. The benefits to control moisture during harvest, purchase and sale. Increases store security. Ensures good quality and prevents damage through decay or rot. We offer a FREE on your farm consultancy service before purchase of any of our nutritional recommendations. With the view to discuss existing feeding methods, present supplementation and assess if improvements need to be made. Information on trace elements and how to determine whether a deficiency exists. Why are trace elements important ? Trace elements are essential components of an animal’s diet required for a range of metabolic and physiological processes. Severe deficiency of one element can cause a clinical condition (e.g. Selenium and White muscle disease/muscular dystrophy; Copper and Swayback etc.). More often, the effect of a deficit is insidious, causing ill health and a loss of productivity, without obvious clinical symptoms. Marginal deficiencies affect variable numbers of stock from year-to-year. They are hard to predict and identify, but routine supplementation can be incorporated into the feeding plan. The principle of trace element nutrition should be one of prevention, rather than a response to evidence of a deficiency. The role of trace elements & vitamins in ruminant feeding. COBALT (Co) is required by ruminants for the production of vitamin B12. A deficiency results in listlessness, loss of appetite, rough coat, scaly skin, reproductive failure and anaemia. Sheep are more sensitive to cobalt deficiency than cattle, whilst young animals are more susceptible than adults. COPPER (Cu) is a component of red blood cells and is involved in enzyme systems, i.e. haemoglobin synthesis. It is necessary for the pigmentation of wool and hair. Copper is a very important trace element. A deficiency causes retarded growth, loss of appetite, anaemia and scours. Wool may grow straight and straggly; hair tends to fade and is often shed particularly round the eyes. Milk yield is lowered and fertility affected. A deficiency results in swayback in sheep. IODINE (I) is incorporated into the hormones produced by the thyroid gland. Thyroid hormones exert control over energy metabolism, physical and mental growth, endocrine glands and the circulatory system. A deficiency can result in birth of weak, hairless or dead young and infertility. A typical symptom is a swollen neck or goitre. MANGANESE (Mn) is essential for the correct formation of bone and the development and function of the reproductive system – it is mainly associated with enzyme systems. A deficiency results in poor growth, leg deformities, poor fertility and abortion. ZINC (Zn) is involved in the growth of body cells, formation of skin, hair, bone and cartilage. A deficiency results in poor growth, lowered appetite, poor feed conversion and delayed wound healing. In calves skin disorders, stiff gait and the swelling of hocks and knees may result. VITAMIN A is essential for correct vision and development of bones and mucous membranes. Vitamin A is stored in the liver, which acts as a reserve. A deficiency results in blindness, infertility, abortion or the production of dead, weak or blind calves. Deficient animals are more easily infected by disease because mucous membranes are weakened allowing bacteria, particularly pneumonia, to enter the tissues. VITAMIN D3 is a very important vitamin concerned with calcium and phosphorus metabolism in the correct development and maintenance of bones and teeth. Its requirement is greatest during pregnancy and lactation. A deficiency can cause bone weakness (rickets) and poor growth rates. It is also believed to be involved in milk fever. VITAMIN E has a broad spectrum of activity including fat metabolism, reproduction and muscle function. It is essential for conversion of carotenes to Vitamin A. A deficiency results in muscle weakness affecting reproduction, heart, liver, lungs, brain and renal activities. Cobalt & Vitamin B12 in Sheep Health. There are a myriad of micro-organisms functioning in the rumen of which Cobalt is the core element in the function and production of Vitamin B12. The forage contains no Vitamin B12 so the ruminant depends entirely on healthy micro-organisms in the rumen to manufacture these essential elements. Lack of them can cause poor growth, scours, ill health, malnutrition and death. While the lamb is suckling it should grow well and at 6 to 8 weeks the rumen becomes fully developed and providing there is sufficient supply of Cobalt for the micro-organisms to function effectively the daily required Vitamin B12 should be achieved. As the grazing season moves to late summer, autumn and into winter the Cobalt and Vitamin B12 starts to tail off and becomes less available to the ewe and growing lamb. Unfortunately, this deficiency becomes magnified when ewes are raised on Cobalt deficient pastures. This deficiency is further compounded by the lack in colostrum and reduces the initial reserves in the lamb. Cobalt may also be lacking in ley pastures compared to established natural native grasses and further compounded by overstocking. 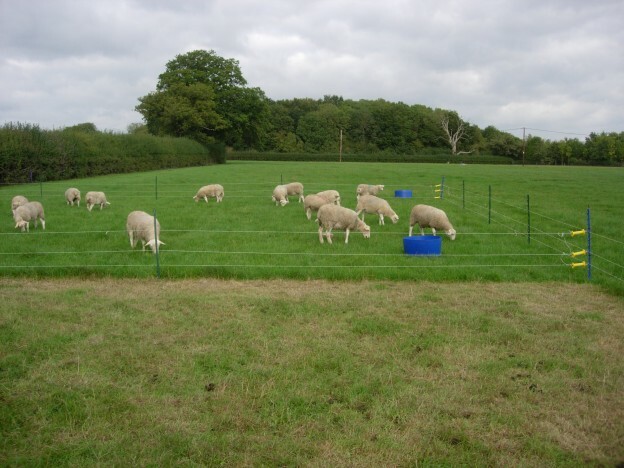 If there is evidence or a suspicion of the above deficiency, consider providing the correct form of supplement to a few sheep and watch for improved results. There are many results to prove that when there are healthy micro-organisms in the rumen supplied with adequate Cobalt to produce the required daily levels of Vitamin B12, the animal will be healthier with increased immunity to disease and internal parasites. Our product specification, quality, pricing, supplied direct from manufacture provides excellent value to you the farmer. All products are manufactured to the highest standards in accordance with ISO 9001 and FEMAS accreditations.